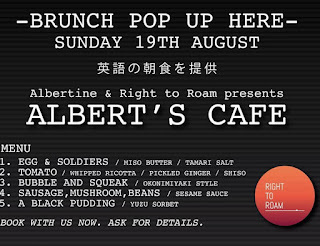 Right To Roam, a supper club run by chef Edward Barnard, is popping up for brunch on Sunday 19th August at the Albertine Wine Bar in Wood Lane, Shepherd's Bush. There are two sittings, at 10.30am & 1pm, and the menu is an 'East meets West' fusion, including a very intriguing Bubble and Squeak/Okonimiyaki Style! Tickets are just £30 + fees - well worth getting up for! 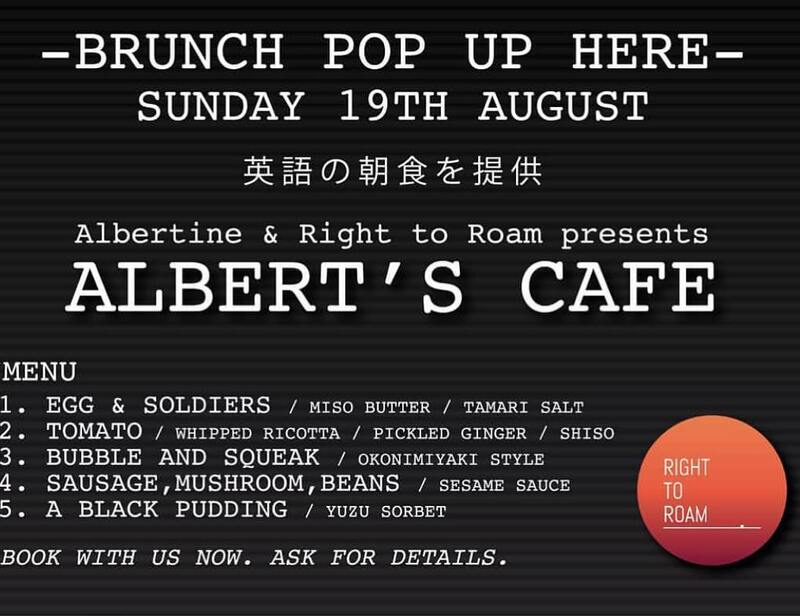 "On Sunday 19th August, West London supper club Right to Roam is doing a brunch pop up collaboration with the much loved Albertine Wine Bar. In a nod to the fact that Albertine gave its name to Albert Square (I know right? ), Right to Roam will transform Albertine into 'Albert's Cafe', an old school East End cafe, with a difference. A four course brunch menu playing with the theme of a Full English with a Japanese twist. Obviously. We can't wait for you to come and see what we've got in store..
A Black Pudding/Yuzu sorbet "